Make a big pot of this easy chili recipe, and let it simmer away until dinner time! The flavors are perfectly balanced and it’s so rich and hearty. 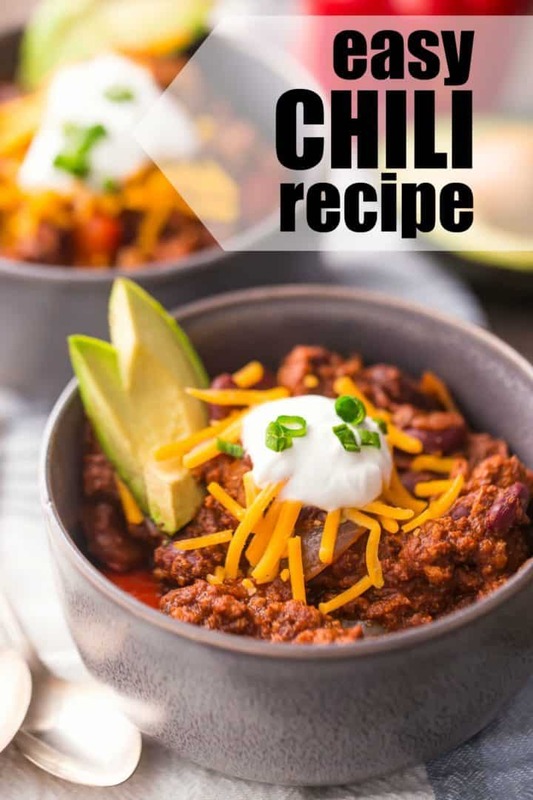 I promised you a chili recipe yesterday, and now here it is! I know I don’t have a lot of savory recipes on this site. There are a few, like this blender tomato soup, this buffalo chicken salad, and this quick and easy homemade pizza, but for the most part I’m all about desserts. That said, I just couldn’t post that cornbread without also sharing my best chili recipe! This is one of my FAVORITE things to make (especially when the weather is cold) because it’s so EASY and it’s really good. It’s got plenty of spices but it’s not spicy-hot, so my whole family likes it. And in this house of picky eaters, that’s saying a lot! You are going to love how quick and easy this recipe is. Just saute everything together and let it bubble away on the stove until dinner time. Start by browning the meat in a big pot with a little bit of oil, salt, and pepper. Then add the veggies in. I like onions and bell peppers in my chili, but you could add more veggies too! Sometimes I’ll add sweet potatoes or corn or greens. Give everything another hit of salt and pepper, to really build the flavors. Once the onions are starting to look transparent, throw the spices in and stir everything around. The spices will toast up and their flavors will intensify, and they’ll coat every inch of the meat and veggies. So good! Finally, add in the tomatoes. Crushed tomatoes are my favorite but I’ve also used tomato puree or diced tomatoes. It’s all good! Let everything simmer away until you’re ready to eat. Once the veggies are tender it’s ready to eat, or you can keep it bubbling on the stove all afternoon. Just keep the flame really low, and stir it every so often to be sure it doesn’t burn on the bottom. If you notice it getting too thick, dilute it with water until you have a consistency you like. About 10 minutes before serving, stir in the beans and check for seasoning. Add more salt if needed, and if the chili seems overly tangy or bitter, add a little sugar. Sugar makes everything better! 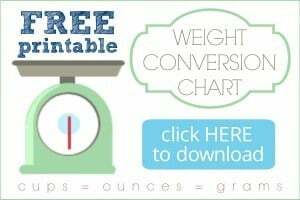 It may just take a pinch or two, or you may want to add as much as 2 tablespoons. Use your judgement! To make a crockpot version of this chili, just saute the meat, veggies, and spices before adding to the slow cooker. Then add the tomatoes and let it cook on low heat for 6 to 8 hours. Stir in the beans just before serving. Boom! 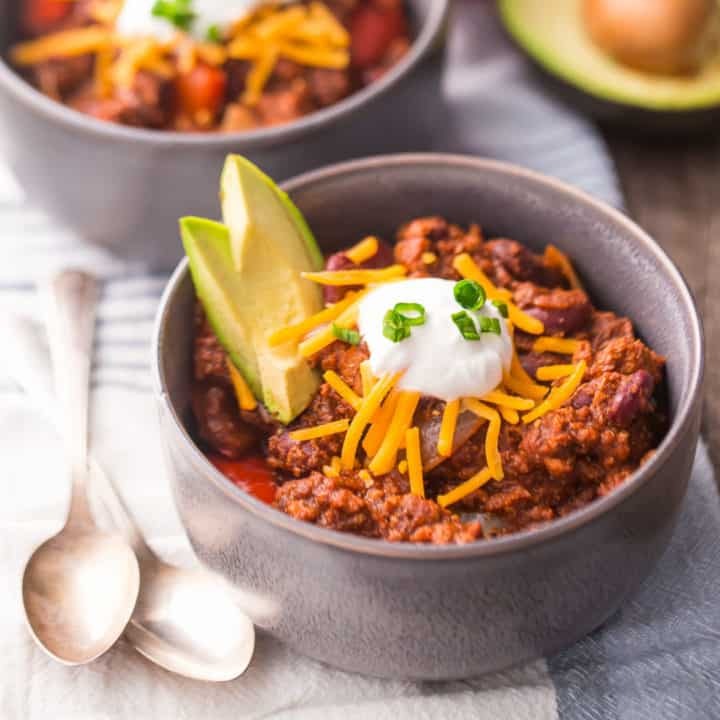 To me there is nothing better on a cold day than a bowl of hearty chili! I love it so much I’m happy to just eat it as-is. And on the side, cornbread is a must! This moist and sweet cornbread is the perfect accompaniment. Or try spooning this chili over corn chips! It’s great as a topping for nachos, or on your hot dogs or baked potatoes. You can definitely play around with this recipe and make it your own. There’s lots of little tweaks you can make! I like to make my chili with ground turkey, but you could also use beef. I prefer turkey because to me it’s less greasy (and with all the spices and everything, flavor-wise it tastes almost identical), but beef would definitely give more of a hearty richness. There’s a lot of debate over whether or not chili should have beans! It’s totally up to you if you want to add them or not. Personally, I like beans in my chili and my favorite kind are the dark red kidney beans. But you could also add black beans, chick peas, pinto beans, or whatever you like! 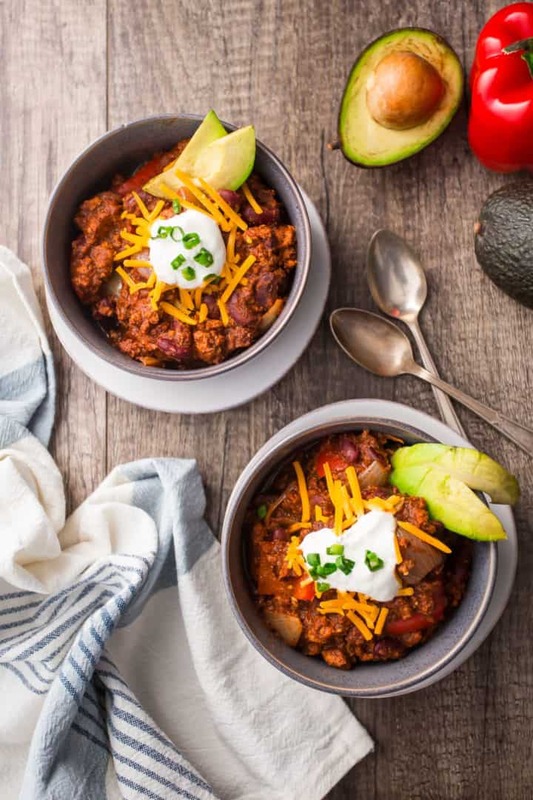 This chili recipe has lots of spices but no real heat. My husband likes spicy foods but the kids and I don’t really. 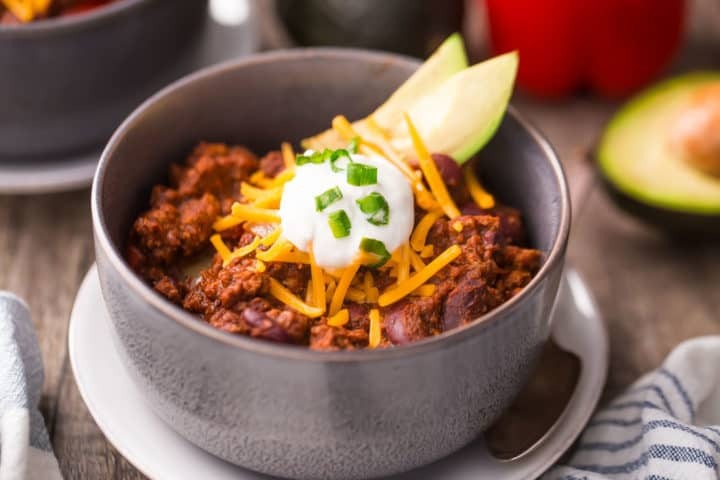 So I make this chili mild, and he spices his up with jalapeno peppers or sriracha sauce. If you’d like a spicy chili, you can add a pinch or two of crushed red pepper or cayenne pepper to it. That will really bring the heat! Just add a little bit at a time, and taste after each addition. Once too much goes in, there’s really not much you can do to cool it back down! The other spices in this recipe include chili powder, garlic powder, cumin, and dried oregano. These are all pretty standard. But I also like to add a little cinnamon and a little cocoa powder. Cinnamon and cumin are so good together! And the cocoa powder balances out the acidity of the tomato and provides a nice earthiness. Don’t worry- it doesn’t taste weird at all. You probably won’t even notice it’s there- it’s really just to mellow and balance everything. With this combination of spices, your chili will have an authentic flavor that’s similar to a Mexican mole sauce. YUM! Place any leftovers in an airtight container, and allow it to cool completely before refrigerating. It should last in the fridge for a week to 10 days, or in the freezer for 2 to 3 months. Reheat it on the stovetop, in the crockpot, or in the microwave. Just heat it gently, stirring, until it comes to a low simmer. If it seems too thick, it can be diluted with a little water. Now is the perfect time to make a big pot of chili! Hope you enjoy this recipe- it’s definitely a top favorite for us! Make a big pot of this easy chili recipe, and let it simmer away until dinner time! The flavors are perfectly balanced and it's so rich and hearty. Place a large pot over medium-low heat, and add the olive oil. When the pot is hot and the oil is shimmering, add the ground turkey, breaking it up with a spoon and stirring as it browns. Season with salt and pepper. Add the bell pepper and onions, and season with salt and pepper. When the onion is starting to look translucent, stir in the chili powder, garlic powder, cumin, oregano, cinnamon and cocoa powder. Transfer the mixture to a slow cooker (if using) and add the crushed tomatoes. Taste, adjust seasoning, and allow to simmer over very low heat (stirring occasionally), until the vegetables are tender (about 20 minutes, or up to 6 hours). If the chili becomes too thick, add water to dilute. Stir in the beans and taste for seasoning. Add sugar, if needed. Cinnamon and cocoa in chili? Well now I’m extra excited to try this recipe! Hope you love it Rizalina! Chili is such a staple this time of year! I love the addition of cinnamon and cocoa powder. That little extra flavor sounds heavenly! Love the flavors going on in this chili!! Looks so delicious! It’s the perfect comfort food dinner!